I really like my ported Better Bottle carboys for the most part. They are easy to clean, safer than glass carboys, and allow you to watch the fermentation as it takes place. The down sides are that you have to be careful when cleaning them, as they scratch easily, the necks are narrow, which makes dry hopping a chore, and you have to be very careful with the temperature of any cleaning solutions and wort to avoid damaging the PET material. 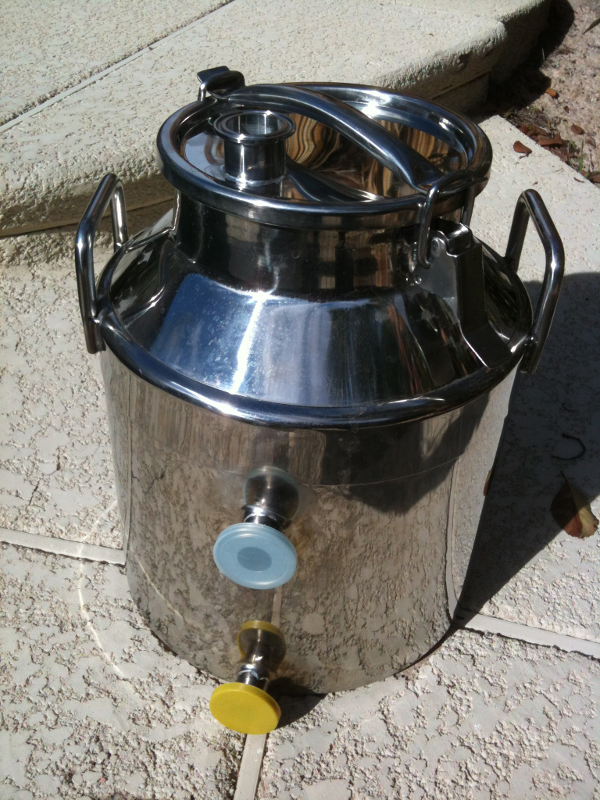 Stainless steel (SS) is the material of choice for professional and larger volume (usually 20 gallons and greater) home brewers. It’s easy to clean and sanitize, the openings are larger to make dry-hopping easier, and you can place the SS carboy into an ice batch and dump the boiling wort into the carboy without any ill effects. Deep Wood Brew Products makes a 6 gallon SS Carboy that caught my eye. It’s relatively inexpensive for a SS product, and it comes pre-ported for a valve. thermometer, etc. I prefer tri-clamp fittings, so I cast my search elsewhere. I added the 1″ and 1.5″ tri-clamps using the same technique as my tri-clamp keggle. I plan on giving this a whirl on my next brew day. I’ll keep you informed.